Calm puppet, wild puppet, listening puppet, deaf puppet, whatever puppet in the PDP, will nine times out of ten produce ‘PDP’ results. It is a given, though we would necessarily not want to scream it to high heavens, that every area of our political life has the imprints of the president or more succinctly, the presidency; considering that the president is a ‘good man with a listening ear’, so presidency here recognizes the role of the kingmakers, interest groups and stakeholders who used every resource at their disposal to get Goodluck Ebele Jonathan elected. Events that occur daily along the length and breadth of our national space cannot be said not to be presidency-influenced. It took the ‘occupyNigeria’ protests for the ‘listening’ president to hear the calls of the citizenry to attempt a stepping on the toes of election financiers in the oil sector. Clearly, any action that will not protect the interest of the puppet masters is met with absolutely impregnable opposition from them. During the run up to the April 2011 polls, I had to endure insults and borderline hatred from friends online and offline for aligning with a candidate who was not from my religious stock or ethnicity. I enjoyed it because I stood firm on principles and was having fun toeing an unpopular route because taking a look at those who stood on the opposite side of the divide, I couldn’t find any with a valid logical explanation for their choice except my very good friend, Ferdy Adimefe. We go a long way back to school days in the University of Port Harcourt and while we have different methods, we ultimately desire the same goals in our pursuits of passion and purpose. But we disagreed on the direction to vote in April, 2011. I couldn’t see how a good man who didn’t plot any of the circumstances surrounding his rise could all of a sudden ‘own’ the situation enough to cause a revolution within the ranks of the PDP of the proportion that Nigeria needed to move forward. I was thrilled by Ferdy’s arguments, but truthfully, I believed more in my friend’s competence. A few days ago, I came across Ferdy’s article on YNaija: ‘Why I am voting.’ I went through it and I was bought over on this one. But did Ferdy think GEJ would ‘allow’ a non-PDP governor in Bayelsa State? That the president would give up on the opportunity of his first political godson? It is standard practice, that the PDP never appreciates intelligence and competence only loyalty. That is why Ben Bruce, who would make a better governor, would never be given their platform. In Delta State, it is the same story. The governor holds a mandate that is not of the people. For twelve years, the people’s votes have not counted. The puppet masters run the show, from the executive to the legislature to the judiciary and back. As a matter of fact, Great Ogboru had the kind of following in Delta State that Okemela could not even boast of in Bayelsa State. A lot of senators, federal and state house or representative members won last April, riding on Ogboru’s popularity. It is clear! 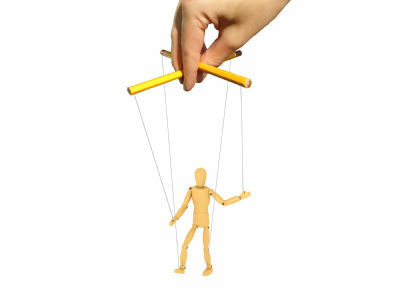 You do not change the puppet, you clean out their masters. Calm puppet, wild puppet, listening puppet, deaf puppet, whatever puppet in the PDP, will nine times out of ten produce ‘PDP’ results. We need a system change, not a calm quiet reassuring face. Until then, Bayelsa, Delta and a host of others will have to live with hearts broken by the merchants of men’s souls – the puppet masters.